Letter to Joseph Self Jr.
Age 55. Born at Queen's Medical Center on May 21, 1954 to John Harvell and Thelma Hikalea Kamanu, this mighty man of God was destined to impact multitudes. He often spoke about his joyous childhood raised in Kam IV, Waimanalo, and Hauula, with his glorious graduation from Kahuku High & Intermediate School. He had 13 siblings and is survived by brothers, Lew Kamanu, Matthew Kamanu, John Aki, Alvin Harvell and Kitwana Harvell; sisters, Yvonne Bishop, Naomi Heffernan, Matilda Harris, Taanasa Harvell and Geri Baker. Married in 1975 to Nancy Kailimahuna Kalua, they lived in Kahuku and were blessed to have four children; Shawnna, Paul Jr., Johnathan & Jason, with six grandchildren; Timothy-Josiah, Jordanne, Noeau, Jadon, Jada, & Johnna. In 1979, he answered the call of God on his life and became devoted to serving Him and winning souls for His Kingdom. With both parents as Pastors, there was a lot to glean from for his future, although his best teachings would come by way of the Holy Spirit. With years of professional training as a tour guide and bus driver in the islands, "Cousin Paul" would mesmerize visitors and residents alike with his witty personality and wealth of knowledge. In the 80's he was known as "Brother Paul" on KAIM radio and obtained additional knowledge and skills as Program Director. As founder of Grace Christian Church of Kaneohe in 1992, which was renamed Grace Redemption Ministries in 1997, Dr. Kamanu implemented a seven-point vision enabling the ministry to launch out into the depths of society to help people with spiritual and physical needs. He touched countless lives through homeless and convalescent outreaches, and active involvement in the legislative process. He ministered for over 20 years in Hawaii's adult and youth correctional facilities, as well as the continental U.S.
Dr. Paul Kamanu was an Apostle; one sent by God to the nations of the world. 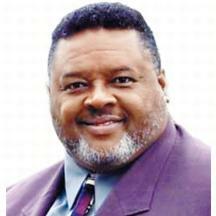 He founded a personal ministry, Grace In Action in 1990, which touches the world. He traveled extensively to twenty-two nations with humanitarian outreaches to the Pacific, West Africa and the Middle East. Containers of clothing, furniture, medical equipment, food, and an assortment of other items were given free to the destitute. From crusades of thousands, to revival meetings in small churches, biblical scriptures came alive as Dr. Kamanu used humor, history, prophecy and grace to bring the simplicity of the gospel to every soul. All of his life experience and expertise was applied as an author, musician, world renowned preacher, teacher, mentor, radio and television host. On November 25, 2009, the God he loved and worshiped stopped by Castle Medical Center to give him his heavenly reward, and said, "well done, good and faithful servant." Multitudes have seen their lives changed by Dr. Paul Kamanu and the ministries God blessed him to begin. We will all miss him dearly, but he has left a lasting legacy for us to continue in enlarging the Kingdom of God. Mahalo Apostle Kamanu for your investment in the field of souls! SERVICES AT HONOLULU CENTRAL 7TH DAY ADVENTIST CHURCH. THURSDAY DEC. 10TH, VISITATION 5-7PM, SERVICE 6:30PM. VISITATION CONTINUES 8-10AM FRIDAY DEC 11TH SERVICE 10AM. BURIAL AT VALLEY OF THE TEMPLES AT 2PM. 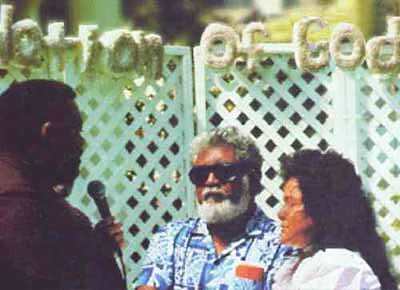 Pule (Prayer) of Commissioning / Dedication over Majesty and Wahine Akahi Nui at the Coronation, Feburary 22, 1998 at the `Iolana Palace, Honolulu, By Bishop Paul Kamanu.